This is a card I made for a couple of challenges on Splitcoaststampers, yesterday’s Color Challenge CC378 A Delight(ful) Celery Party and today’s Sketch Challenge SC388. This is a going away card for a friend who is heading off to UF in the fall. 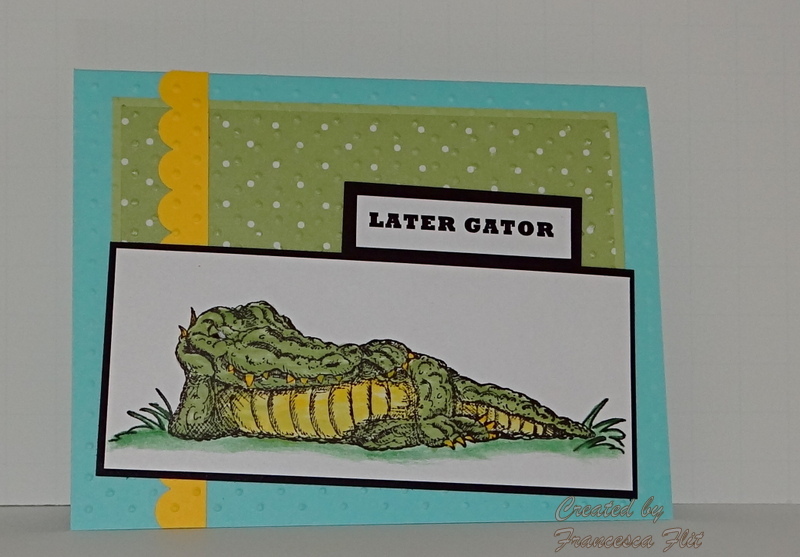 The gator is from Art Impressions and was colored with Stampin’ Up! markers. I used Cool Caribbean for the base, Yo Yo Yellow for the Scallop Border and Certainly Celery Designer Series Paper, matted in Certainly Celery. I matted the image and the computer generated sentiment in Basic Black.